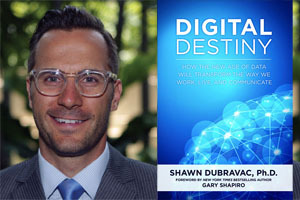 Shawn DuBravac, author of "Digital Destiny: How the New Age of Data Will Transform the Way We Work, Live, and Communicate" will be interviewed by Arlington County CIO Jack Belcher and Business Librarian Alexandra Fox, of Arlington Public Library. The conversation will center on the impact the digital revolution could have on the quality of life for those who live, work and visit our County. Learn more about Arlington's Digital Destiny. RSVP for event reminders. Seating is on a first come, first served basis.